Lumbency dedicates itself to provide human oriented architectural lighting solution and products for indoor and outdoor applications. 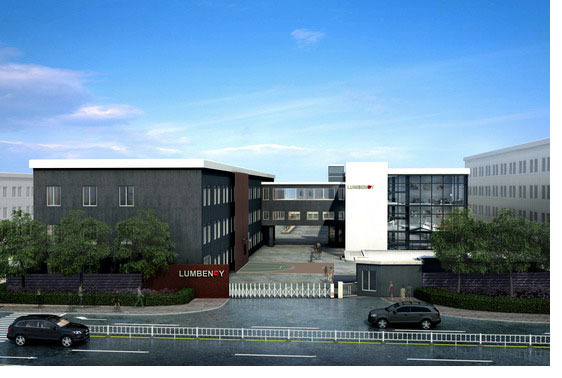 Founded in 2005, Guangzhou, we are the first early pioneers to incorporate German advance management system with leading edge design and development of lighting products.“Office lighting”began from Lumbency.A truly innovative company, Lumbency has always been at the forefront of professional office lighting since inception. Since then Lumbency continues developing innovative, custom lighting solutions that meet extremely exacting requirements in terms of ergonomics, economic efficiency and environmental compatibility and also deliver aesthetic added value to our customers. As a responsible and reputable manufacturer, Lumbency has also invested in ERP management software system to efficiently perform planning and execution of our manufacturing process in real time. We are accredited ISO-9001 through SGS, assuring our commitment to a high level quality of management system in our corporation. We have our own testing laboratories which are rarely found in the lighting industry, ensuring the highest quality of its development processes. In our laboratories, both the illuminates and their individual components are subjected to various testing required in the European and global context, with accurate photometric data providing ease of usage to lighting designers. Long-term testing in our weathering laboratories makes sure our products will have a long service life even in particularly challenging environments. Our state-of-the-art production spans more than 14,000 Square Meters, optimized by highly trained personnel to ensure we can meet the ever challenging lighting market‘s requirements, from economical products to technologically advanced solutions and designs with a sophisticated management system. Our customers will always find that our solutions reflect the requirements of their respective markets. We are capable of satisfying a broad range of customer needs for every lighting applications. “Lumbency, Human Oriented Lighting” reflects our desire to create lighting spaces that make it possible to experience the interplay between light and architecture in all its diverse complexity. Our goal has always been to offer our customers a first-class product backed by unparalleled service, focused on solving our clients’ illumination challenges.